There have been lots of Stephen King books and stories adapted into TV series, from The Dead Zone, to Kingdom Hospital, to Haven to Under the Dome. Now CBS, who brought us Under the Dome, is ordering a pilot for The Things They Left Behind which is based on a 2006 short story written by King. Have you read The Things They Left Behind? If so, do you think it will work on the small screen? What other King works would you like to see made into a TV series? I've said it before but I would love to see a series set in Dairy, Maine. It's a town featured some of Stephen King's works, including It and 11/22/63. The town just has a creepy vibe to it and I think there are enough subplots based in Dairy to really make a good series based on the town. 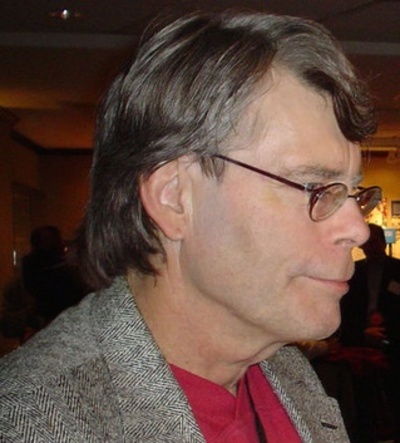 I've never read a Stephen King story because I;m not interested in crime novels. I wouldn't be interested in seeing a tv series on one of his books either. I have not read The Things they Left Behind and I like a lot of Steven King stories however a lot of them would just not be OK for a series! Also love Misery and that could perhaps be drawn out into a short series.